Things have been a little out of the ordinary here. We had family visit and we're about to have more, and then likely I'll leave home for a bit to do some visiting myself. I'm feeling strangely transitional and yet so much the same. 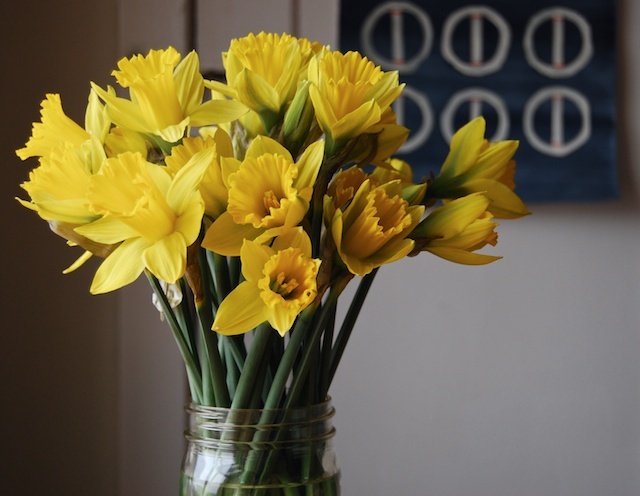 I thought we deserved something sunny in the house so I brought home some daffodils; flowers aren't something I let myself splurge on but three bunches for five dollars is really hard to turn down when you're looking for a pick-me-up. The kombucha came out wonderful, and is already totally gone. In spite of my worries and rookie mistakes, Chewy is going strong. Our next brew is on it's second ferment starting today, this time with pear juice. 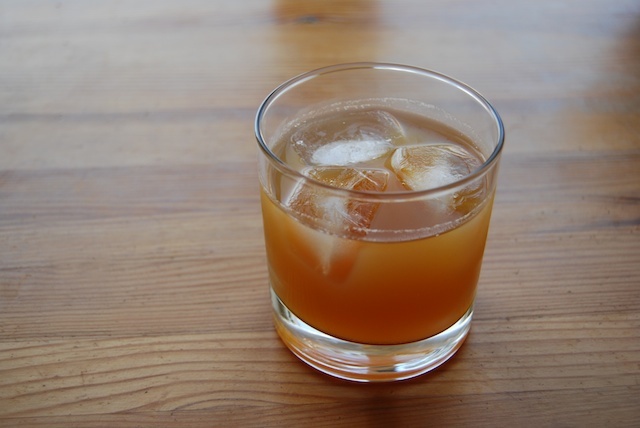 For the first batch we made apple juice, and the end result was like fizzy homemade cider - in other words, delicious. We drank it so fast I'm considering getting a second jar just to have two rotating batches going at a time.